Springtime in Michigan is so beautiful. The trees are budding, flowers are blooming and the landscape is finally turning green. 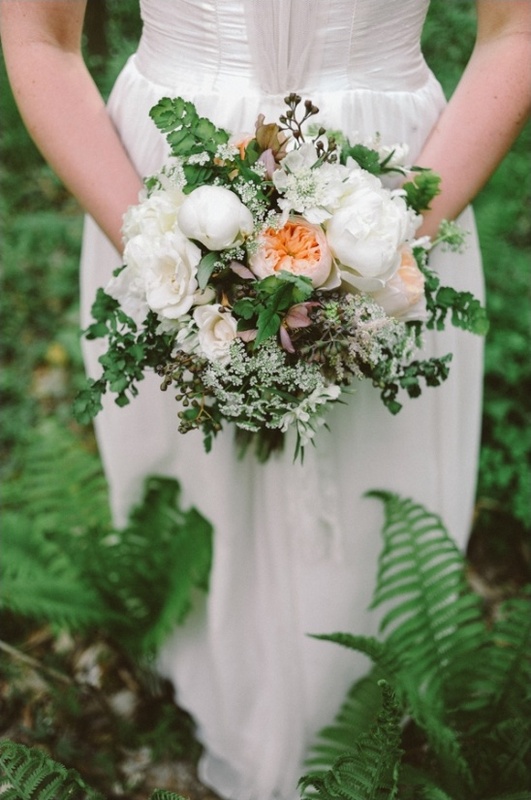 This lively time of year is what inspired Meg Van Kampen Studios and White Dress Events to have a photo shoot. 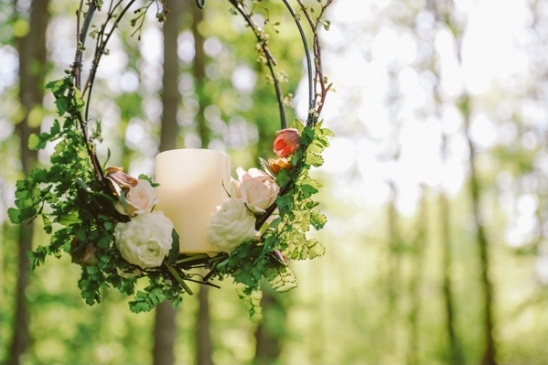 The shoot took place in a woodland park in West Michigan. 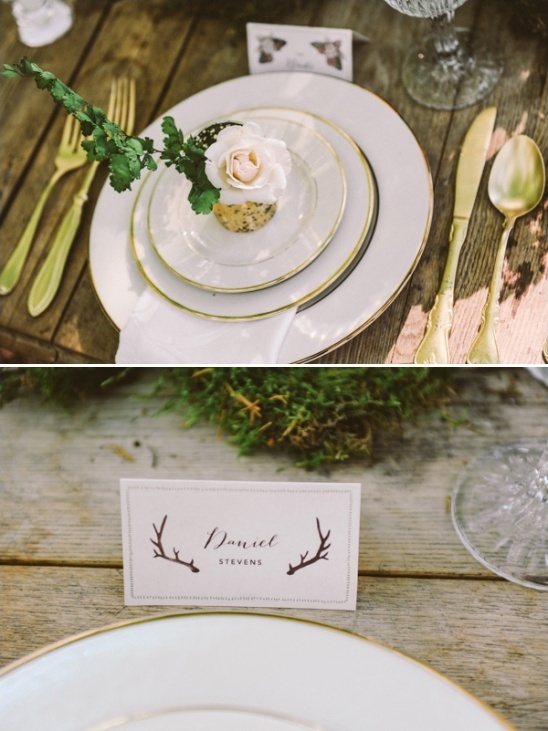 They wanted nature to speak for itself so they chose a subtle color palette of ivory, gold, blush and champagne. 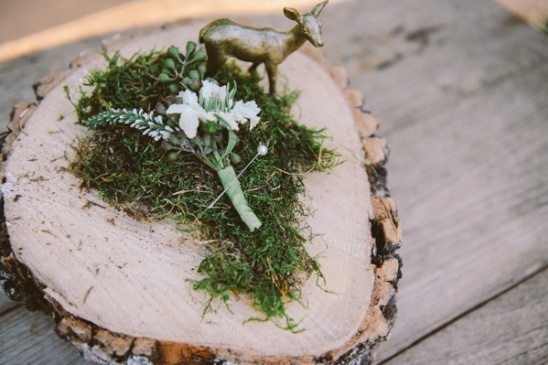 To see more details from this woodland wedding inspiration take a look at the full gallery here, all flawlessly photographed by Meg Van Kampen Studios. 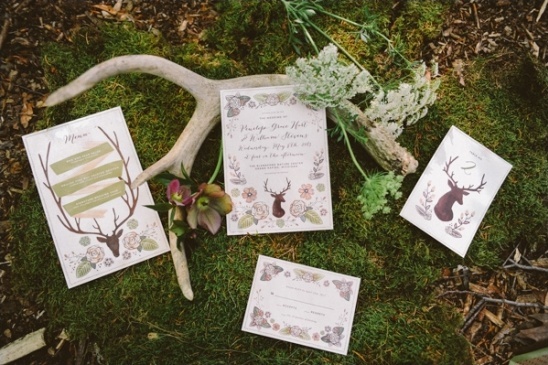 From White Dress Events:The invitations and stationary pieces were hand painted by Bree of Wildship Studios with inspiration coming from a drawing created by Meg. Bree did a great job capturing spring on paper! 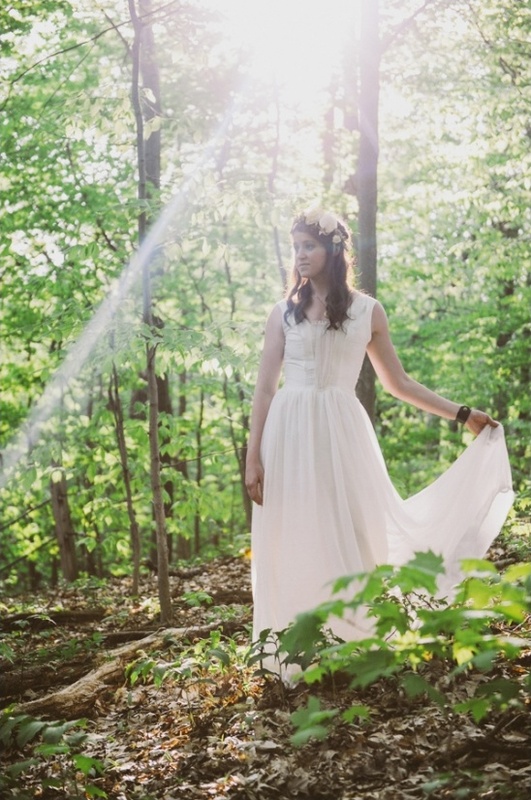 When searching for the right gown for the bride, we looked no further than Michigan designer, Shannon Gales of Vue Design. 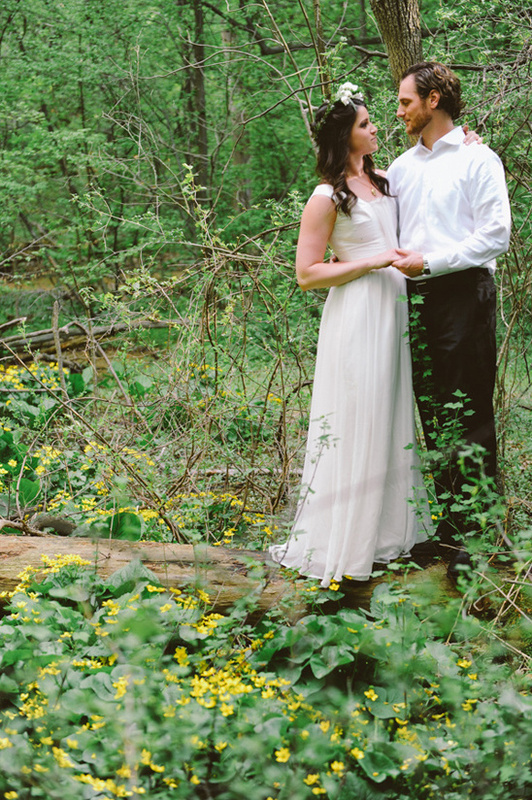 This handmade gown was just the right mix of simple and stunning. 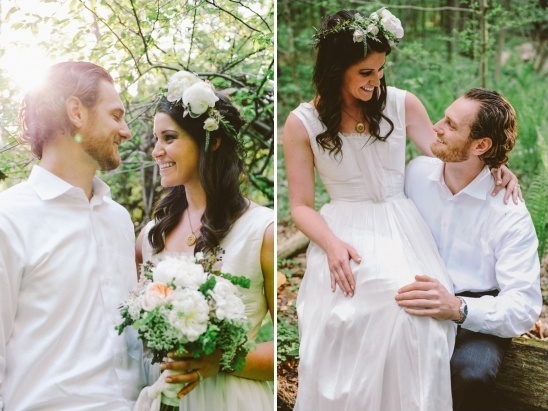 The bride’s hair and makeup were very soft and natural. 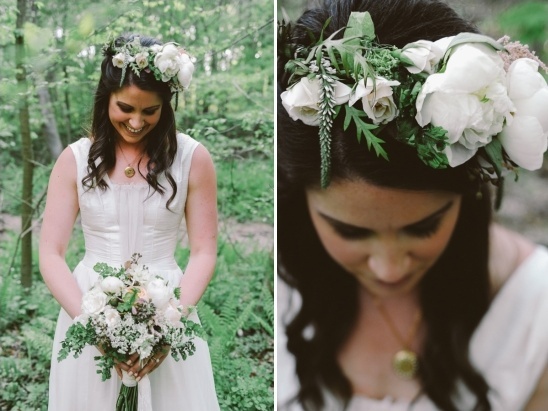 We added a whimsical floral crown, as well as a gold pendant and leather cuff to complete her look. 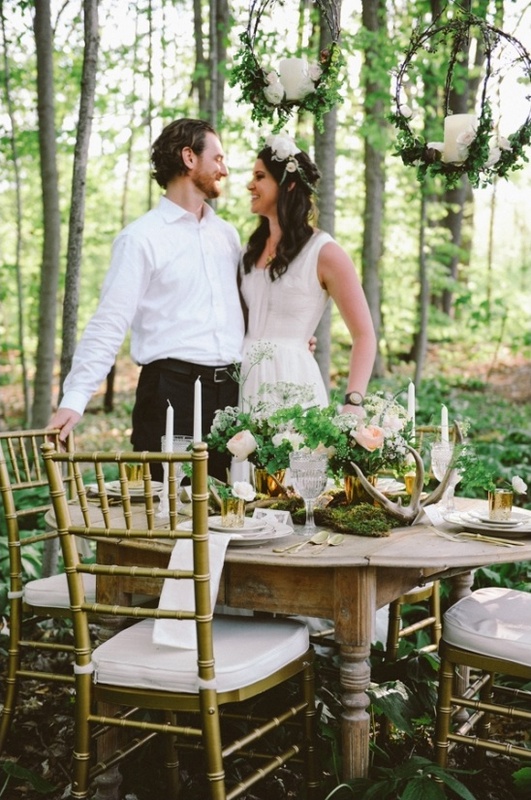 No shoes needed for this woodland bride! 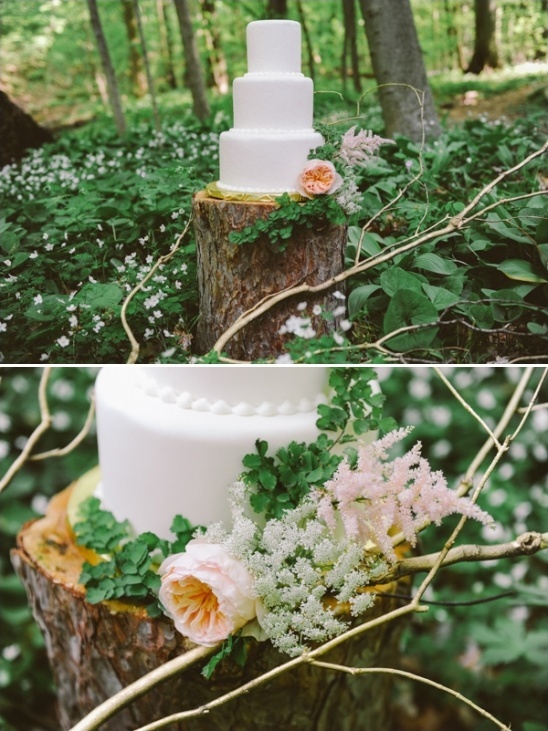 Spring Sweet created a beautiful centerpiece with an organic mix of flowers for the table. 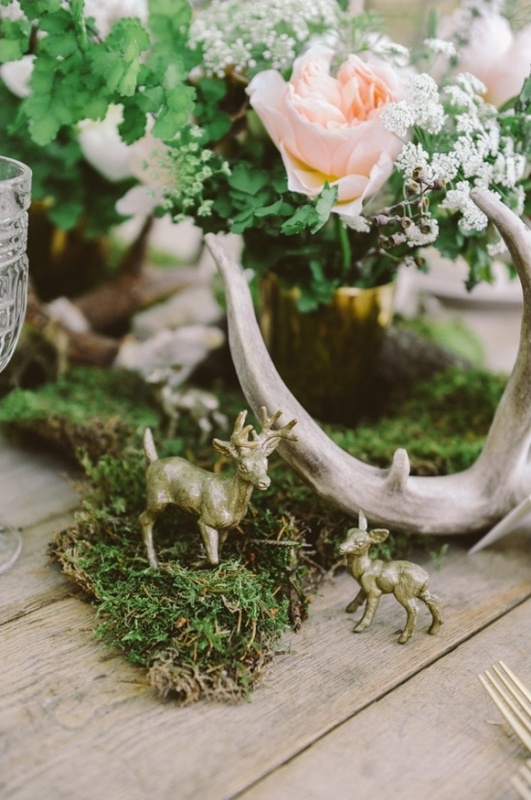 We tucked in other spring inspired elements…green moss, antlers and tiny little gold deer. 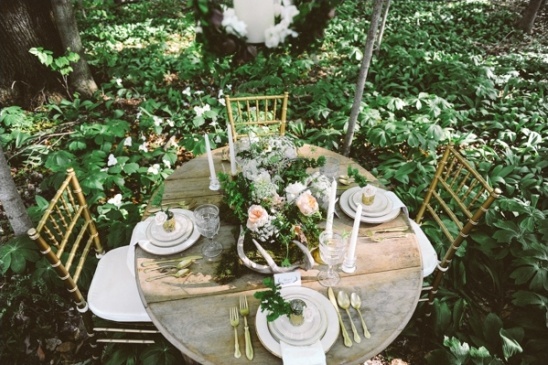 The gold flatware and chairs, ivory china and floral orbs hanging above the table were the perfect finishing touches. 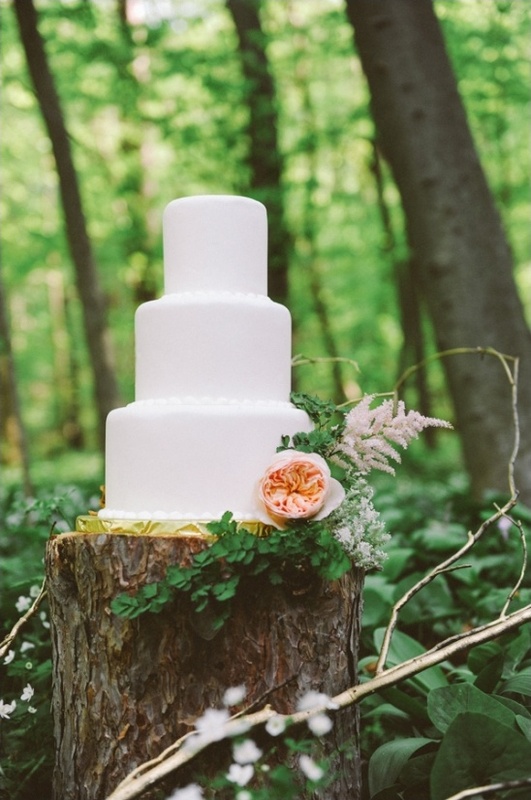 The simply designed three-tier cake was finished off with just a few flowers and a gold painted tree. We set all of this next to a charming little creek in the middle of the forest. The entire shoot was captured on video by Shutterspeed Productions, so be sure to take a look at this shoot in action.